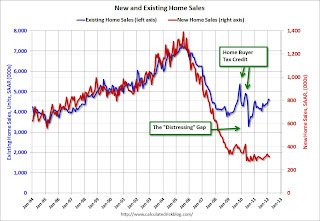 Here is an update to the "distressing gap" graph that shows existing home sales (left axis) and new home sales (right axis) through February. This graph starts in 1994, but the relationship has been fairly steady back to the '60s. Following the housing bubble and bust, the "distressing gap" appeared mostly because of distressed sales. The flood of distressed sales has kept existing home sales elevated, and depressed new home sales since builders can't compete with the low prices of all the foreclosed properties. 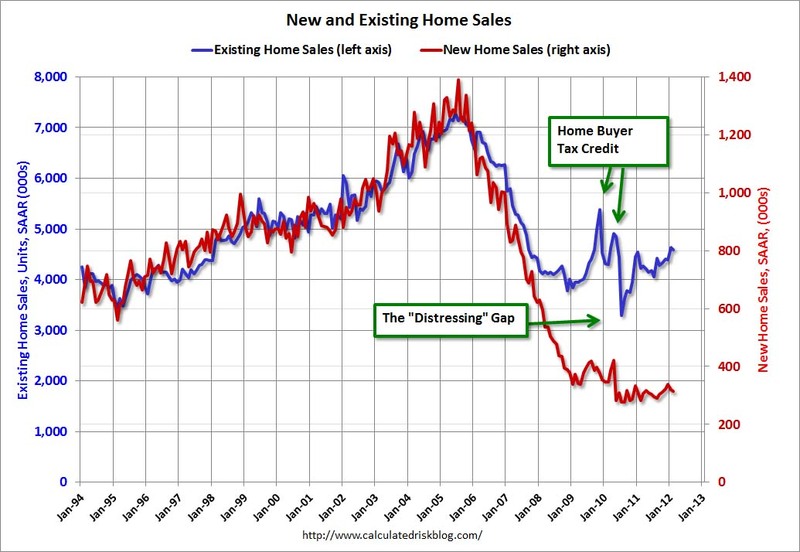 I expect this gap to eventually close once the number of distressed sales starts to decline. 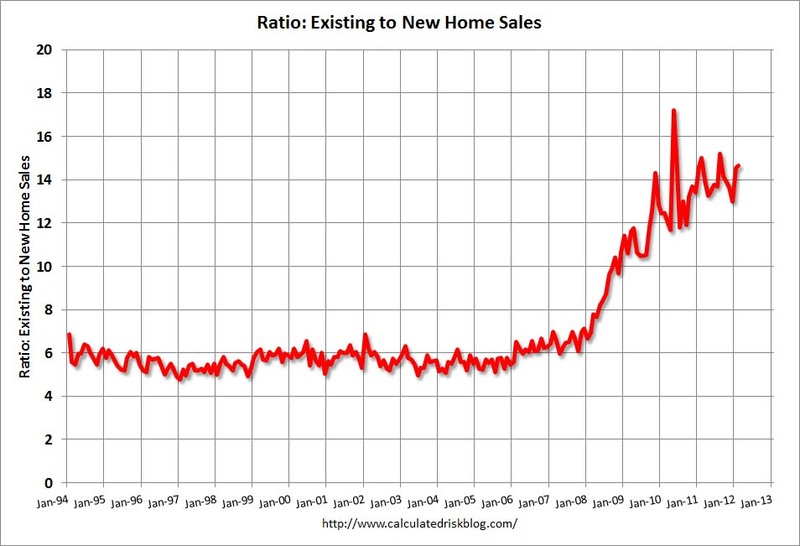 The second graph shows the same information but as a ratio of existing sales to new home sales. 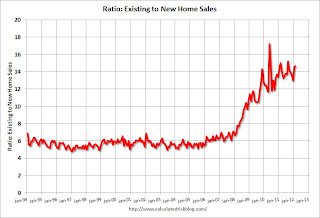 The ratio was fairly stable for years until the market was flooded with distressed sales. So far there has been little progress towards a more "normal" market.